Head to central Bologna, capital of Italy’s Emilia-Romagna region, and you’ll soon hit a food shop. The delicious, dark delis containing a multitude of goodies are around every corner in this handsome old city. The Bolognese take their food tradition very seriously. In fact, the city is known as ‘La Grassa’ meaning ‘The fat one’, and for good reason. You’ll find Bologna’s plentiful independent shops groaning with the region’s traditional foods. One speciality is delicious little tortellini – tiny filled pasta containing a meaty mix of mortadella, prosciutto crudo, cooked pork mince, and seasoning – perhaps a dash of nutmeg. There is never any alternative filling in these dreamy little pasta parcels. If you’re doing things one-hundred percent traditionally, you should eat them in a broth made from the carcass of a cockerel and a beef bone. But they also taste great simmered for a minute or so in simmering salted water, drained, then tossed in butter and pepper, or with a cream and ham reduction. Another key ingredient of the city is mortadella. This cooked cured pork sausage is protected by the European Union, and bears the IGP geographical stamp of approval. Mortadella with the IGP stamp must follow a precise method to be up to the very best standard. Real mortadella is made from lean pork with cubes of fat from the throat – considered the tastiest. It’s mixed with herbs and spices, often whole peppercorns, and sometimes pistachios, before being dry-air cooked for hours, depending on the size. When ready, it’s cooled and the flavours allowed to stabilise before being sold. It’s eaten on its own as an aperitivo, or for lunch, but also appears cooked into many Bolognese recipes, for example as a stuffing for tender fried pork or chicken, and in pasta sauces and fillings. You’ll also see huge wedges of Parmesan gracing the shelves of Bolognese food shops. The world’s best loved Italian cheese comes almost entirely from Emilia-Romagna. By European law it can only be called Parmigiano-Reggiano if it’s from the towns of Parma, Reggio Emilia, Bologna, Modena, and Mantua (which is the only one not in the region of Emilia-Romagna, but bordering Lombardy). To be on the safe side, either make a trip to lovely Romagna to buy a hunk (leave room in your case), or buy only cheese specifically called Parmigiano-Reggiano. You can’t come to Bologna without eating ‘Bolognese’. Except, of course, Bolognese doesn’t actually exist – the meaty sauce we know and love in the UK, is called ragù in Italy. We call it Bolognese because it’s from Bologna. But don’t expect to see it served with spaghetti; this rich, meaty, long-cooked sauce is always served with fresh tagliatelle here. The official ingredients allowed in the sauce are much debated. It’s started off with gently sautéed celery, onion, and carrot, then usually beef and pork mince are added – sometimes veal. You can add white wine (some add red, and others none), and milk, and a little tomato paste. But one thing all Italians agree on is there’s no garlic, and it must cook slowly for a long time – preferably a minimum of 2 hours. It’s also the base of another great Bolognese dish that’s worth tasting in its home town – lasagne. 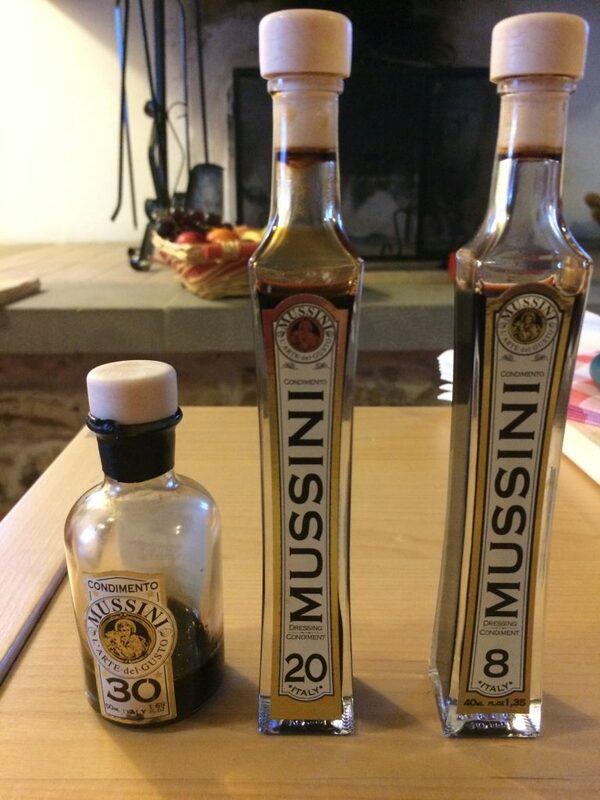 Another ingredient you’ll see a lot of, is the black gold that is balsamic vinegar from Modena. Modena is under an hour up the E35 road from Bologna, and also in this great foodie region of Emilia Romagna. Again, it’s an IGP protected product, and the best ones – aged for 25 years or more and extra vecchio (meaning extra old), cost over £100 for 100ml. It’s a good idea to find a shop that offers tasting of a selection of vinegars, trying a little of each on a plastic spoon. Many are excellent, even the less expensive ones graded condimenti – but try before you buy and you won’t be sorry. Aside from the great ingredients, the Bolognese have also mastered the way to eat. You don’t find too many very expensive restaurants here. The culture is very much to eat local food together in an informal setting, and trattoria selling a selection of local pasta, meat and desserts are everywhere. There’s no need to dress up, just drop in and join the convivial atmosphere and great local food. This is the way the Bolognesi do it. They also have a selection of excellent food halls in the city centre – notably Mercato di Mezzo. This is a collection of artisanal food sellers positioned around a central sitting area. Pick what you fancy and grab a table. It’s fast food in the sense of a hand-made pasta, or fresh fish rather than anything processed. The best food, in other words. Another big part of the Bolognese food scene is the aperitivo. Italians rarely drink without eating, so head to a bar, order a drink, and in the cover price you’ll get a selection of delicious bites to eat, maybe prosciutto crudo, crostini, or a taster of the lovely local creamy cheese squacquerone. It’s a lovely way to eat a light meal, over a Campari or Prosecco or a glass of local Sangiovese red, or crisp Albana white. Whatever you do, don’t come to Bologna without an empty stomach. Book a Flavours Holidays cooking week based in the hills below Bologna and you’ll learn to make new local dishes every day, taught by a talented local chef. You’ll also get to visit the city and other stunning towns and foodie spots in the region.